Sega has unveiled Alien: Isolation, a survival horror title that at first glance certainly evokes memories of the original Dead Space. The title will launch on PS4, Xbox One, PS3, Xbox 360 and PC late 2014. A far cry from the loud action-packed Aliens: Colonial Marines, Sega has handed Isolation to Creative Assembly who are reportedly creating a darker world that is ruled by stealth. According to CVG, UK-based developers Creative Assembly will be placing a huge focus on the Alien itself, meticulously working to create an AI that thinks and acts like a hunter. 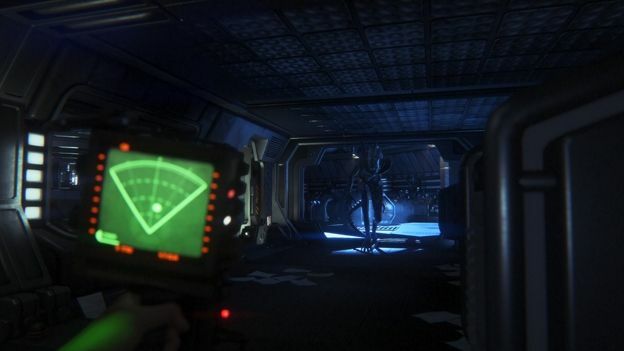 Gamers will play as Amanda Ripley, daughter of the film's main protagonist Ellen Ripley whilst the look and feel of the game has been tailored to replicate that of the original films. The original film's design language appears to have been faithfully transferred over to Alien: Isolation, of course whether it plays as well remains to be seen.